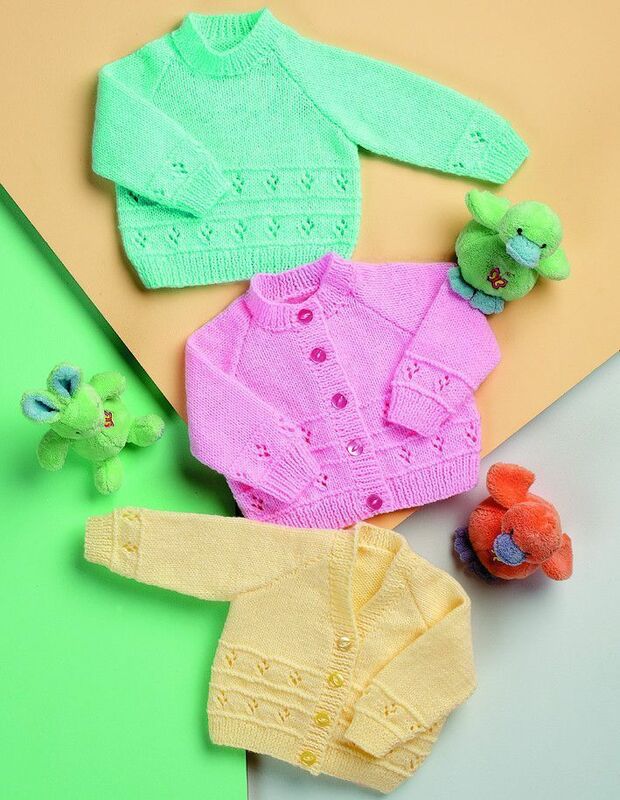 Pretty Round Neck Cardigan, V Neck Cardigan and Sweater knitted in Wondersoft DK. Patterns also shown in shade: Petal Pink (1030) and Peppermint (1034). A 3.25mm (UK10) 80cm Circular Needle if required. Also required: Stitch Holder. Patterns also shown in shade: Buttercup (1033) and Buttercup (1033).